Just a quick post about my graveyard project. 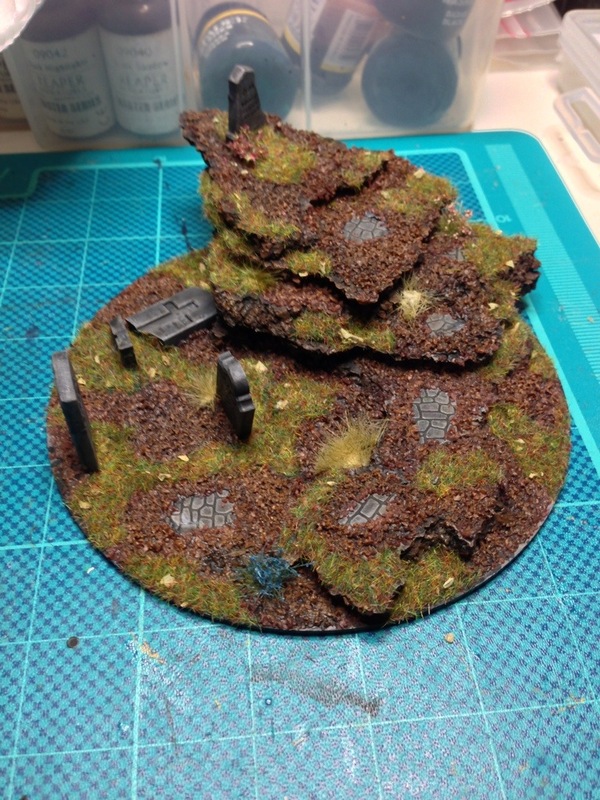 So far it’s pretty shy, but the plan is to eventually make at least enough terrain to play some malifaux on, possibly any 28mm miniature game, if I get enough. Anyways, a graveyard. There’s still stuff left to do with it but.. It’s a start. …As I crossed to the opposite side of the street, I ran into a well-dressed man in a gray suit and top hat, with a neatly trimmed black beard. “Sorry,” I nodded. “Didn’t see you there.” I started to walk around him.